Cleaning wipes and cloths have a wide variety of uses across all industries, and we have a vast range for you to choose from so you can find the right solution for the job, at the right price. We stock cleaning wipes and cloths from leading brands including Chicopee and J-cloth, and they're available in a choice of pack sizes. What are cleaning cloths and wipes? Designed to help you tidy up spills, clean and polish surfaces or even clean and disinfect your hands quickly and easily, there are many different types of cloths and wipes available. Depending on what types you choose, they're made from a variety of different materials including plastic polymers, microfibre, cotton, and cellulose fibres. Multi-purpose - these are a great all-round option and have a wide range of uses, from cleaning up spills to polishing glass and mirrors. 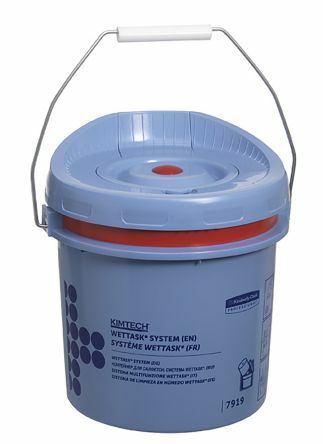 These types of wipes can be wet or dry. 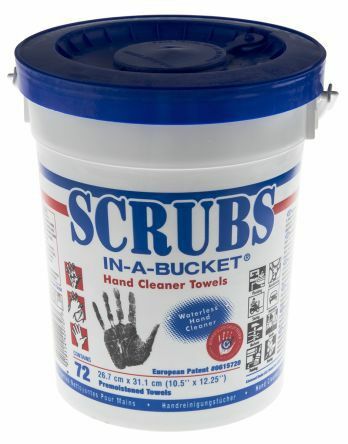 Hand wipes - suitable for heavy-duty or everyday use. Wet wipes have a fluid embedded within them which is effective at removing a variety of greases, oils, dust and dirt from your hands, and can also contain disinfecting properties. Cleaning sponges - with their porous properties, sponges are excellent at absorbing liquids such as water and detergents. They're also very gentle on delicate surfaces. 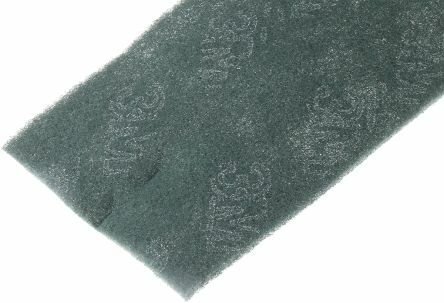 Scouring pads - effective at removing stubborn stains and dirt, scouring pads are made from either metal or plastic materials which form an abrasive surface. 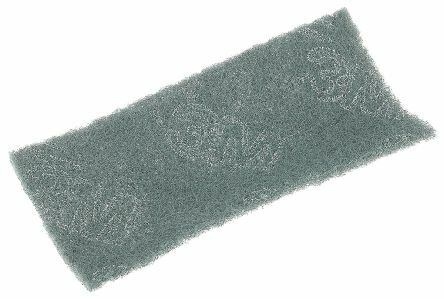 Care should be taken when using this type of cleaning cloth as they can scratch delicate surfaces, although non-scratch scouring pads are available. Telephone wipes - these pre-moistened wipes are used to clean and sanitise mobile phones, tablets and desk phones. Roll of multi-purpose, non-woven synthetic fibre scrubbers pre-treated with abrasive resin.May be used with all common cleaning products.Applications: scrubbing kitchen utensils and appliances, manual maintenance in industrial settings and buildings (floors, stairs, desks, counters etc. ).